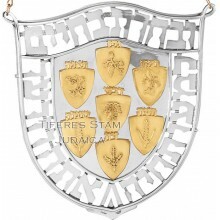 Sterling silver and vermeil handmade contemporary Torah shield by Ludwig Wolpert. 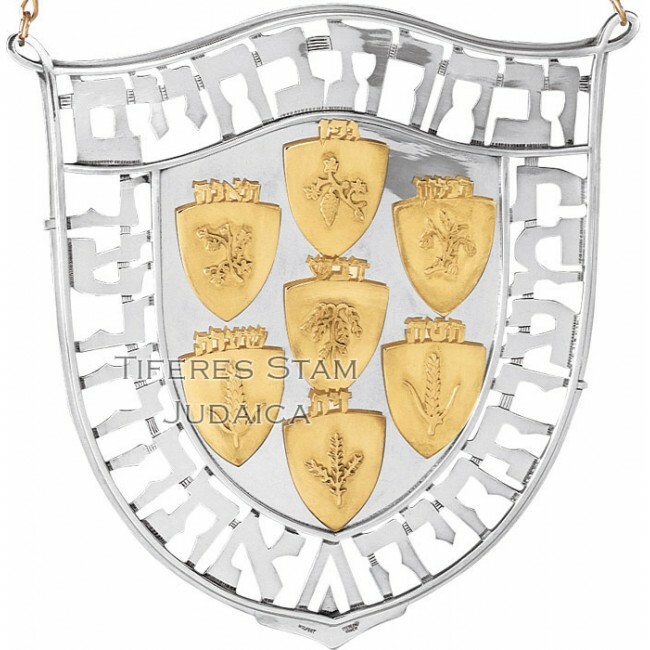 Pierced hebraic inscription and applied seven shields depicting the seven fruits of Israel. LUDWIG WOLPERT CONTEMPORARY TORAH BREASTPLATE. Sterling silver and vermeil handmade contemporary crown by Ludwig Wolpert, with a band of hebraic sc..